I then season each pan with desired spices. 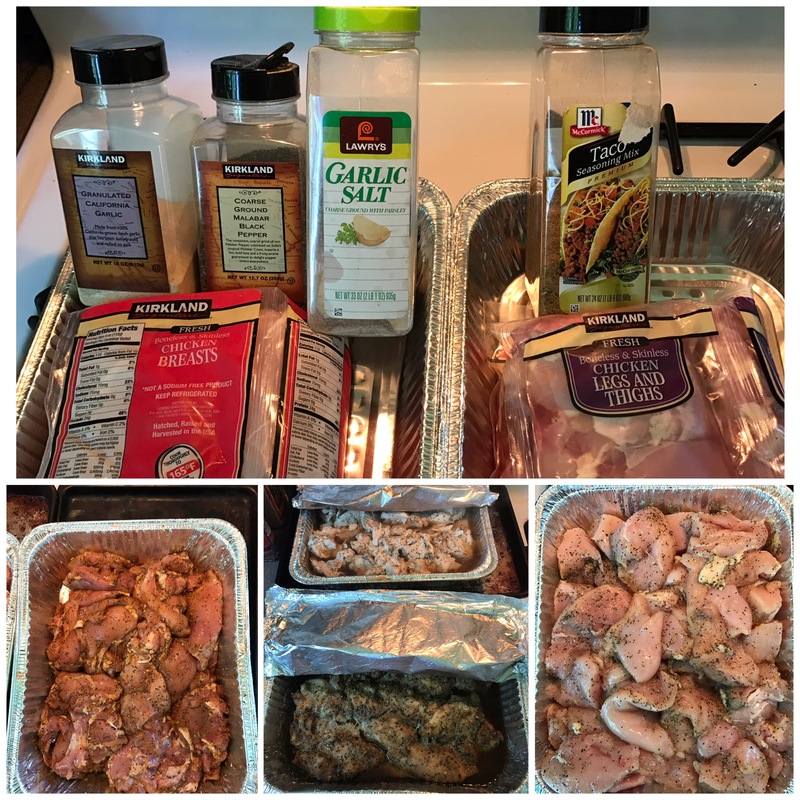 For the Breast basic salt, pepper and garlic. For the Thighs, I use Taco seasoning. 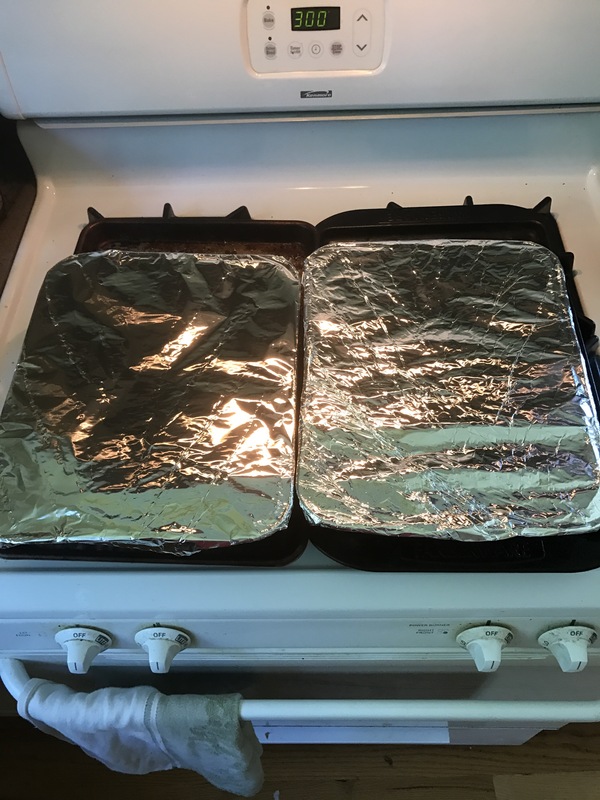 I then cover the tins with aluminum foil and place on a baking sheet and bake at 300 degrees for 2.5 hours. 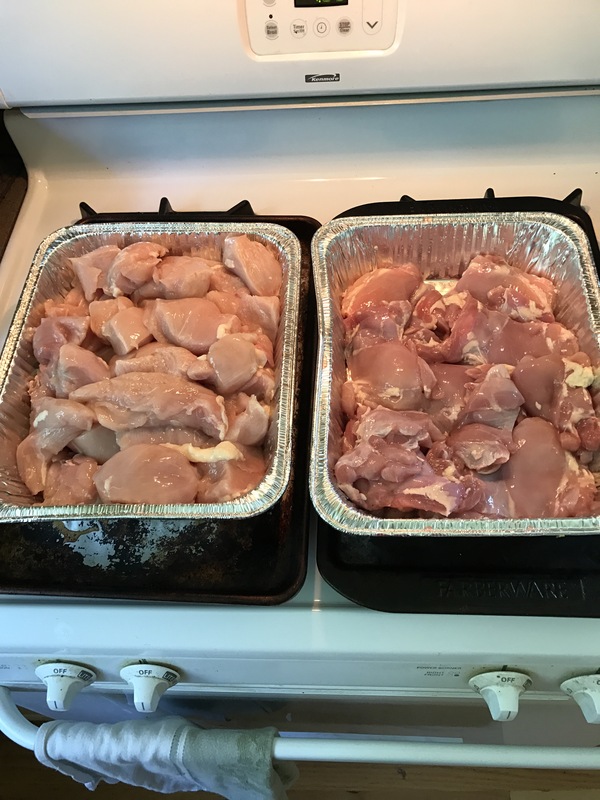 I then remove Chicken, keeping covered, allowing it to rest for another 30 minutes. 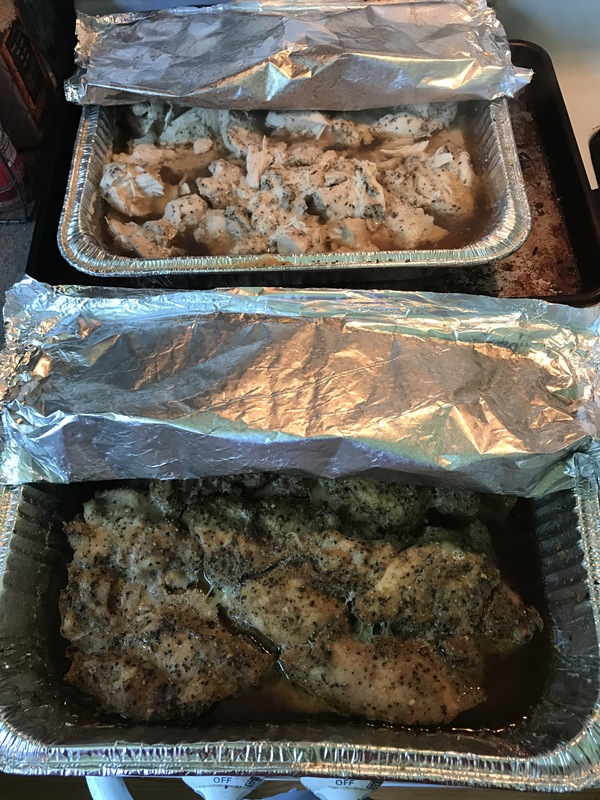 The Chicken Breast is great as an all purpose Chicken and can be used for many different recipes. The Thighs I like to serve over rice and serve with peppers and broccoli. 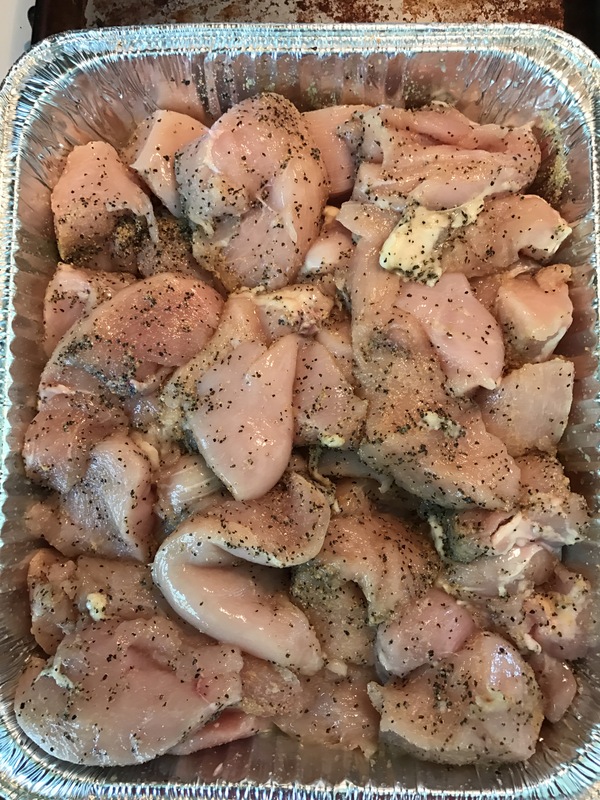 Trim fat of the Thighs and place into a tin pan. 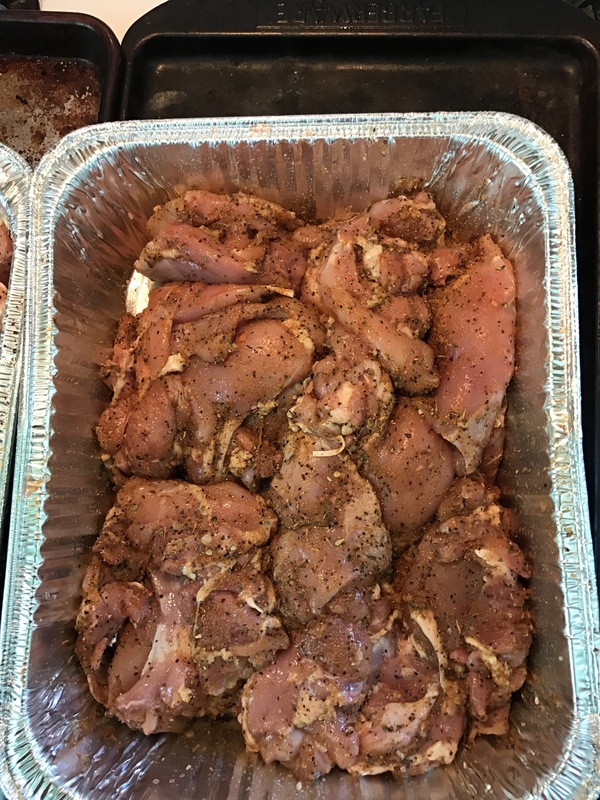 Cut Chicken Breast into medium chucks and place into tin pan. Cover in your desired spices.